Good old fashioned coin games. 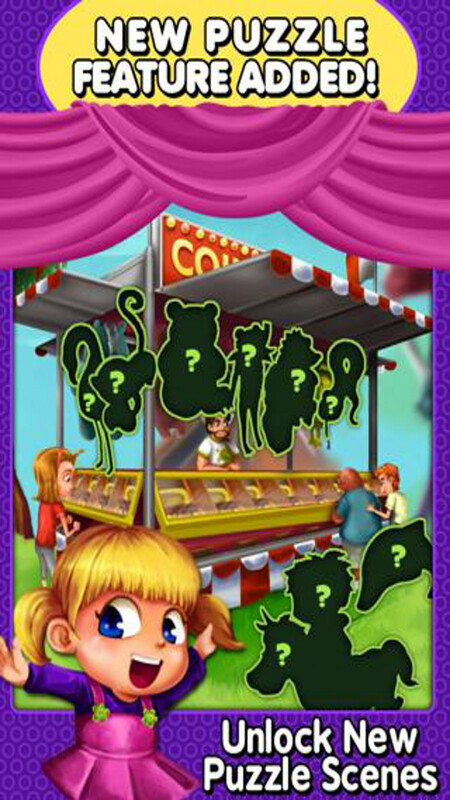 Maybe you'll remember some old timers playing them at the fun fair—well even if you haven't ever seen these types of game in the flesh (or in the coin, so to speak), you can now experience them first hand on your smartphone. Read on for more informations on Coin Dozer. I love funfairs but was fed up with waiting for funfair season to arrive. As a consolation to bridge the gap till my favourite time of year I decided to check out a game for Android that feels somewhat reminiscent of real life fun fairs.. Enter Coin Dozer. The gameplay is similar to what you may have already seen in live: toss a coin onto a game field and watch a lever push it forwards till it bumps into other coins. 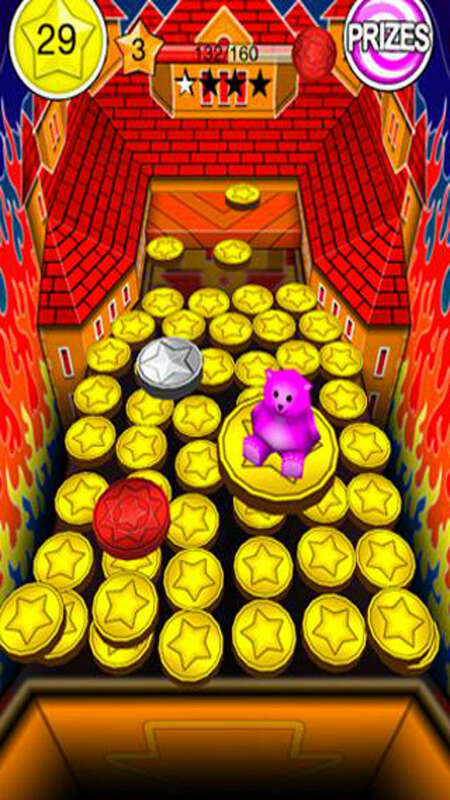 The game's goal is the place the coins in such a way as that a maximum amount of coins are pushed towards the crack near the end of the display. Before you lean back and heave a sigh of “well, that sounds easy enough”: this game has more in store for you. There are gaps on both sides of the game field. These gaps prove to be regular coin traps and if your coins wind up in there you won't be seeing them again. Special games generate a sort of coin shower, or a bunch of giant coins or protective walls appear to prevent coins from slipping away. Prizes include teddy bears, sunglasse, fuzzy dice and diamonds–all classics! You can collect these items or sell them for more coins. I personally like the surprises best. They make special coins or giant coins appear randomly, and can even make it rain coins. This keeps the game fun and unexpected. It happened on more than one occasion that I was beginning to feel frustrated and was just about to quit when all of a sudden a giant coin rolled onscreen. That said, there can be infuriating moments in which coins lie in the corner just out of reach and won't drop into the winning part of the machine. But there is a solution: the Shake-function! If ever you're very low on coins just know that coins regenerate after 30 seconds. You can also buy more coins or install partner apps in order to receive “Free Coins”. I'm a big Coin Dozer fan: it's just plain fun and easy to play. It's highly addictive, so be warned. It's perfect for people who have a long commute or have to sit around waiting a lot. Coin Dozer is lots of fun, as mentioned. It's kept me occupied and boredom-free for quite a few hours, and I think it's the type of game that both kids and adults can enjoy. Coin Dozer has a cool look to it and find the idea of integrating a lock into the gameplay ingenious. Controls are child's play and should be easy enough for everyone to figure out. Too bad that scrolling down the prices screen isn't less long-winded. Coin Dozer performed well and without any issues. The app starts up quickly and the items can be moved around effortlessly. There are few brief hesitations here and there, but that's just splitting hairs. Coin Dozer brings hours of fun gaming to your phone for free. The app is available both from Google Play and the App Center.